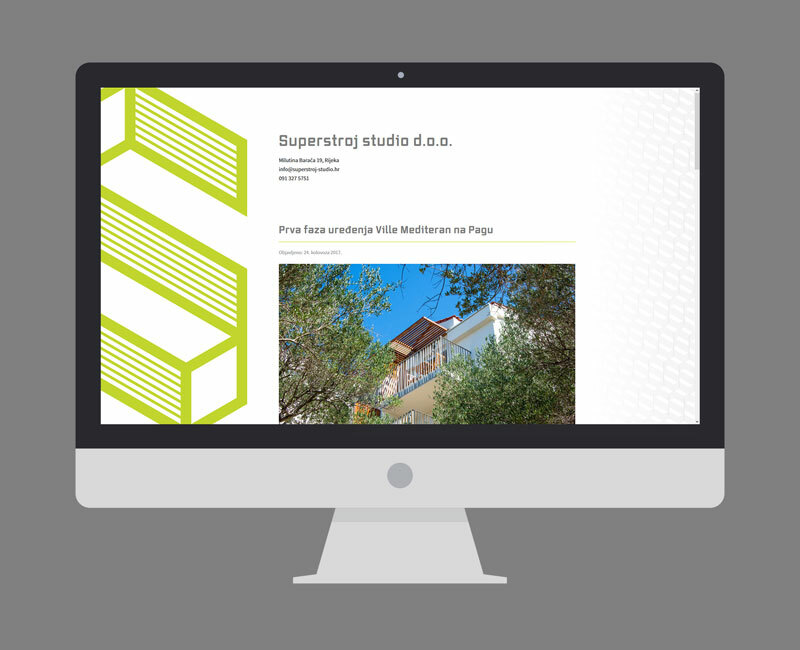 Superstroj studio is a new Croatian architecture bureau dedicated to designing innovative and modern solutions. The geometric logo design I've created for this company suggests the isometric projection of the letter S, and the hatching on 3 of the sides adds to the 3-dimensional sense. The retro-futuristic font Vox Rounded adds just enough quirkiness to make it unusual, but still maintains great legibility even at small sizes. The logo was developed in several different variations which are suitable for different reproduction size: the smaller variations have fewer thicker hatching lines and rounded corners, while the largest variation has clean, sharp corners and denser hatching. Along with a pattern that follows from the logo structure, this creates a great foundation for a versatile, interesting, yet very clean visual brand identity application.